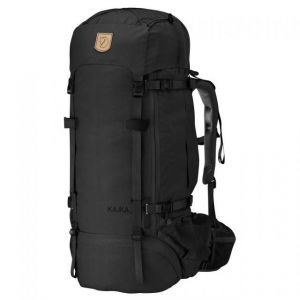 Whether you're the sort of backpacker that's cramming micro brews in whatever available space is left in your pack or the kind of minimalist that's chopping their toothbrush in half just to save a few extra grams, you're sure to find all the space you need for those two-day glam-backpacking trips and minimalist week-long treks with the Mystery Ranch Sphinx Backpack. 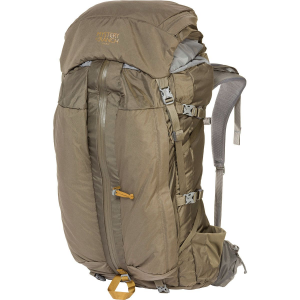 Weighing just over five pounds, the Sphinx is by no means an ultralight pack, but it is built to last with some seriously burly materials that will take some use and abuse on the trail. 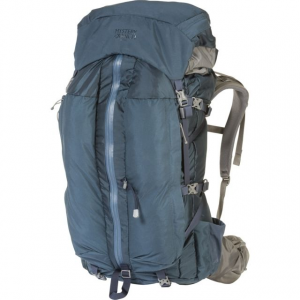 It does sit on the lighter end of Mystery Ranch's line of backpacking packs and implements a more streamlined design than any of its more expedition-oriented packs like the Glacier or Terraplane.Based out of Bozeman Montana, Mystery Ranch uses the rugged mountain ranges that crisscross the Western half of the state to inform its designs, so it should come as no surprise that the materials used to build the Sphinx--210D Robic honeycomb and 330D Robic nylon--are designed to withstand the wear that comes with off-trail route finding and extended forays into remote wilderness areas. The fit of the pack can be easily customized to match your torso via the height-adjustable shoulder yoke, which consists of a hook-and-loop panel along the top of the back panel. 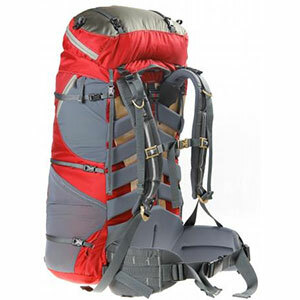 Packing the Sphinx is made easy with its large top-loading design, and unpacking it is even easier thanks to the full-length front zip that grants easy access to the main compartment of the pack. 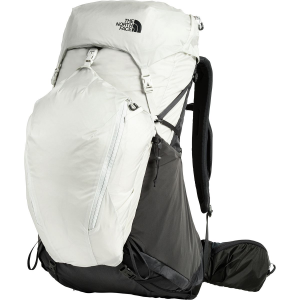 If you are looking to trim weight from the pack for those lightweight trips, both the top lid and waist belt can be removed from the pack for a more minimalist layout. CLOSEOUTS . 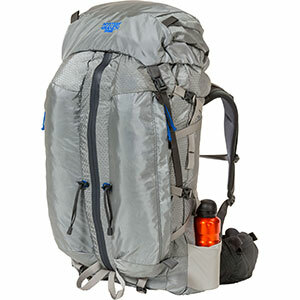 Find backcountry bliss with the Mystery Ranch Sphinx L 70L backpack, engineered in an ideal top-loading size for everything from impromptu overnighters and weekend romps to week-long hitches. Available Colors: STEEL, DENIM BLUE. Sizes: L, M, S, XL, XS.